Recently, Howard Dean appeared on MSNBC and found it necessary to disparage Congresswoman Tulsi Gabbard for her very insightful position on U.S. government policy in Syria. On April 6th Gabbard released a statement which included her belief that collection of evidence from the scene of the chemical poisoning should have preceded any military strike. Dean also tweeted that she should not be in Congress. Tulsi Gabbard is also a decorated military officer who has served 2 tours of duty in the Middle East. She is a true patriot in many ways. 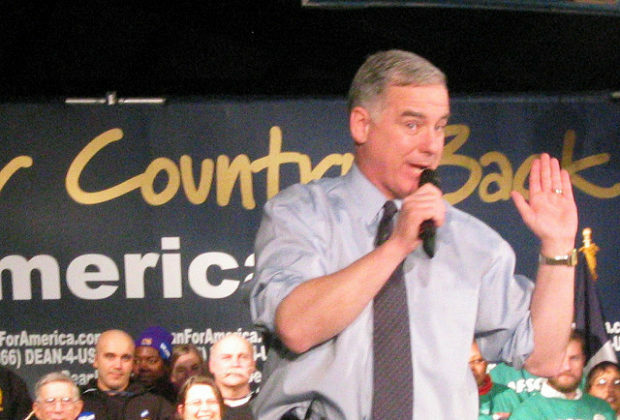 According to the New York Times, Howard Dean claimed a bad back prevented him from serving his country. However, after graduating from Yale he became a ski bum. It seems his bad back did not interfere with skiing. When the weather was warmer he was able to work in the concrete trade. Again his bad back did not interfere with this work. Many remember Dean as a progressive anti-war guy who became famous for his Dean scream. Later on in his career Big Pharma became his dance partner. Now he wants to pretend to be a patriot. He has become a corporate tool for the Democratic party. Dean has the audacity to criticize Representative Gabbard because she wants a thorough and honest assessment of what is going on in Syria. People need to remember that we have been given half truths, misinformation and some outright lies by mainstream media and the government. This has been uncovered with the recent past history of Middle East geopolitical conflicts. Tulsi Gabbard has first hand knowledge and experience regarding the Middle East. Howard Dean does not. Dean should be ashamed of himself for criticizing a decorated veteran and esteemed Congresswoman. Tulsi Gabbard cares about our country. She is a true patriot. Howard Dean is nothing more than a coward in more ways than one. Featured image courtesy of Trei Brundrett via Flickr licensed under CC BY-SA 2.0.